Following on from my last post.....here's my other Uniqlo purchase, caused by my twitchy fingers over the Bank Holiday weekend. I think I am trying to push out of my jeans comfort zone at the moment as I've been experimenting with a few alternatives! Last time it was the gorgeous pleated chiffon skirt that I'm delighted with. 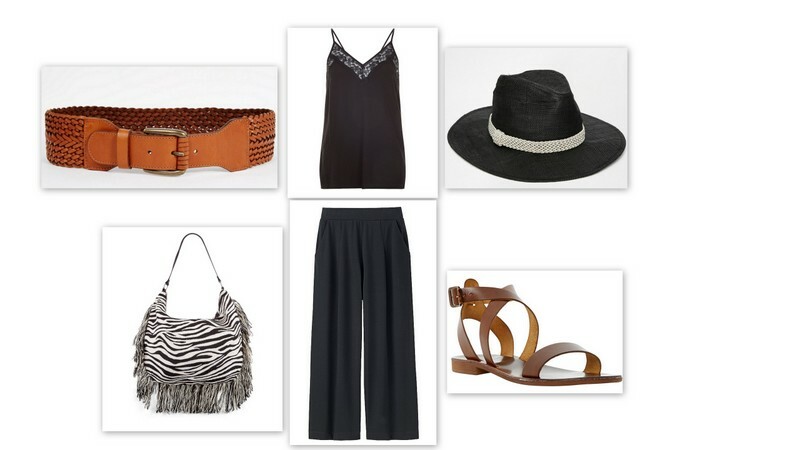 This week it's the turn of some wide crop jersey pants. I bought some culottes from Warehouse in the sale last summer and I didn't expect to love them so much. When I saw this slightly longer version from Uniqlo I was curious to try them. These trousers are so comfortable, dreamy to wear. The jersey fabric means they move with you, they have a lovely weight to them. They also have a high waist which is elasticated and I'm happy to report they've kept their shape well after their first airing. These would be ideal to travel in...that's my plan for a couple of up and coming trips away. To road test them today I've just gone for more simple styling with slogan sweatshirt, Converse and a bit of leo to liven things up a bit! Topshop bag, past season but this one's fab! The usual outfit round-up from the past couple of days. What a mixed bag of weather we've had for the first week of half term! 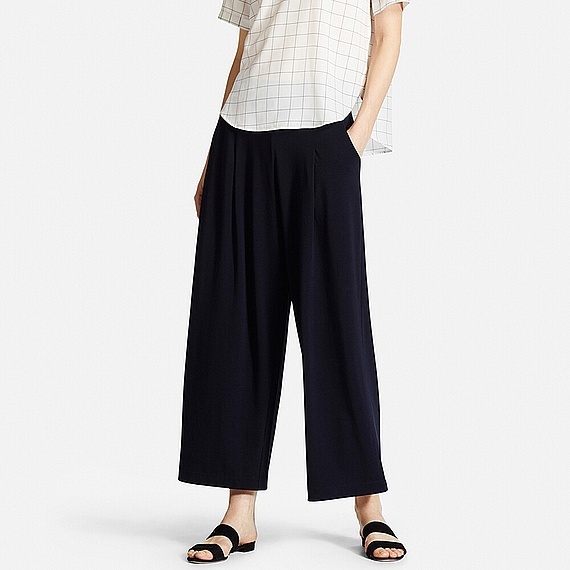 So, it would seem that I've become quite addicted to finding alternatives to my jeans having added grey slouchy trews, smart pinstripe strides, a floaty skirt and now wide pants to my wardrobe in the last couple of weeks. That had better be all for now! What have you been adding in bulk to your repertoire lately? I'd love to hear! Be back soon.....wishing everyone a good start to the week! I too am trying to move away from wearing jeans every day and shake up my wardrobe a bit; I've been reading your blog for a couple of months now and have found lots of outfit inspiration - thank you!My latest purchase was the Topshop slouchy grey trousers - the ones you tried and were too short on you, were just the right length for me. They have also received the seal of approval from my 26 year old daughter - result!! I love this look on you but alas I cannot pull this one off. But I am in need of alternatives to jeans in the summer.